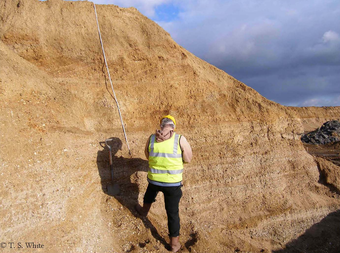 The Lower and Middle Palaeolithic of the Fenland Rivers of Cambridge, also known as the Fenland Rivers of Cambridgeshire Palaeolithic Project (FRCPP) was initiated in 2007 as a short research project to examine the Palaeolithic and Quaternary evidence from the county. The project was funded by the Aggregates Levy Sustainability Fund (ALSF) as a collaborative project between the Durham University, Cambridgeshire County Council and the University of Cambridge. The sands and gravels deposited by rivers are an important economic resource and are intensively quarried throughout Cambridgeshire. They are also the source of most of the evidence for Palaeolithic settlement and Quaternary climate. An important aspect of the project was therefore to provide as much information as possible about the potential for Palaeolithic and Quaternary material to be preserved with gravel deposits, so that planners can advise quarrying companies.